The leaves are already changing here in Wisconsin, and I definitely don't leave home without a jacket, especially at night. This sweater was enough by itself, though. Hoods make everything better. Ancient Eileen Fisher sweater, Theory skirt (similar J. Crew), DKNY tights, Tory Burch wedges, Louis Vuitton bag, jewelry from Security Jewelers. I am loving the fall weather in Minneapolis but am definitely still trying to figure out exactly how to transition my wardrobe into the new season. On another note, your Tory Burch wedges are amazing! Thank you! Minneapolis gets so cold so quickly, it's a tough transition sometimes! Thank you so much for you comment dear! I really like this post here! You look so pretty! I'm loving your blog! You have really cool style! Now following! I hope you can check out mine and follow if you like! :) I love it way too much. I LOVE your outfit - it is so cute!! Perfect for fall, that sweater looks so cozy! Just stumbled across your blog and love it - anyone that has rails of clothes in their living room (and Isabel Marant Boots) is fabulous in my eyes! I love the hooded sweater! I love when leaves start changing colors! NYC hasn't fully started yet but I can't wait to go to central park when it does! Thanks! Central Park in autumn sounds gorgeous. I don't think I've made it for the season yet! 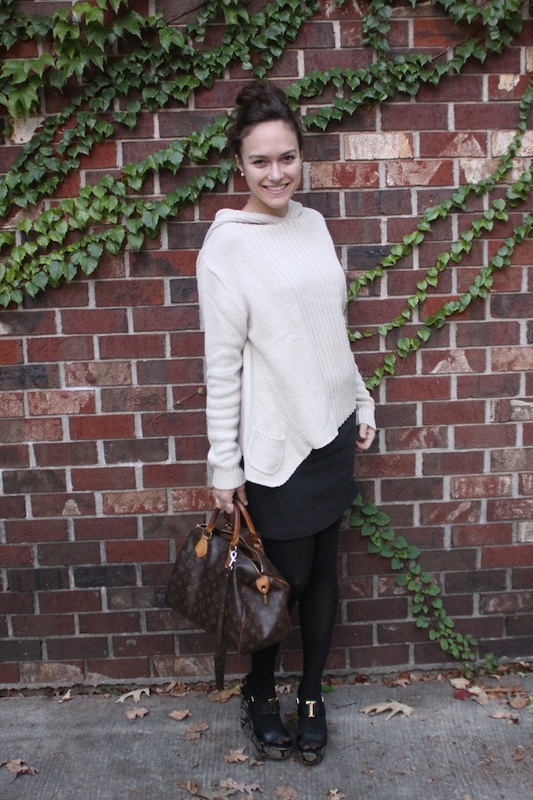 Your chunky high-low sweater mixed with the skirt is very fall and fabulous! 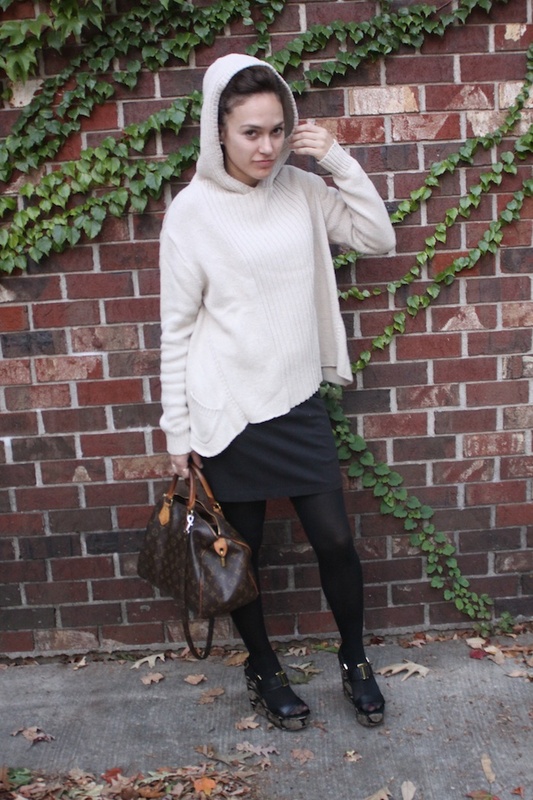 Love the oversized hooded sweater! Very chic! Looks lovely with the skirt! seriously loving ur looks, great wedge shoe. that sweater looks soooo comfy! Comfy sweaters are the best! This outfit is so cozy - love! Would love for you to checkout our latest when you have a minute! Really cute sweater! Looks great! Would love for you to check out my blog if you can. i love this outfit! my favorite part is the sweater with the hood you are wearing. it's so chic and looks so comfy! Love your shoes abd your bag! Looks fantastic with the loose sweater! Like your oufit, I'm in love with that sweater! via Bloglovin and GFC? It would be soo nice! See you?